@Bryanpwo second one with the greeter. @Bryanpwo I’m able to type my password to unlock the partition after grub selection but then it just freezes at /dev/mapper/…: clean, [numbers] files, [numbers] blocks. I’ve tried this before creating another partition (/boot) and my MacBook still didn’t pick it up. 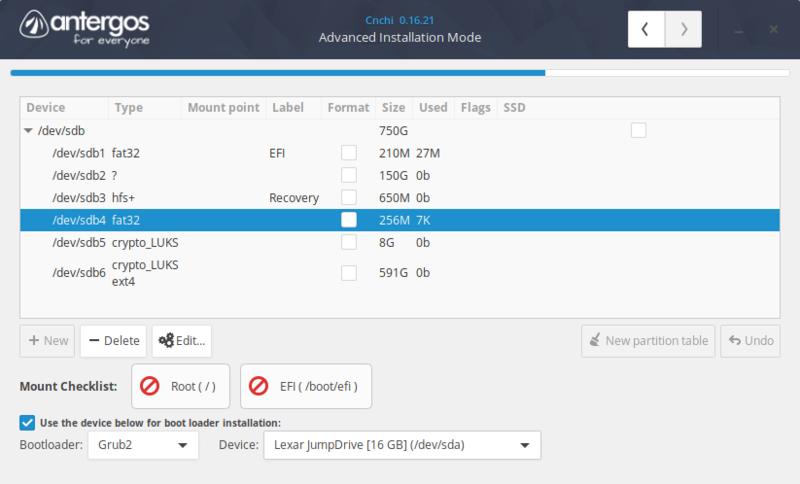 I was able to solve it by adding another ext4 partition mounted at /boot. How do I fix this? I also followed the guide Install dual boot MacOS X & Antergos on a MacBookPro 9,1 (Mid 2012) and even installed rEFInd but still doesn’t show up.